Social & Emotional / How can I know if my child is self-aware? Beyond parental curiosity, for decades, the question of when, why, and how children develop self-awareness has been a crucial inquiry for developmental psychology. In the book The Interpersonal World of the Infant, published in 1985, psychologist and researcher Daniel Stern drew conclusions from his experiments with infants and toddlers and presented the first evidence of self-awareness in young children. In one of his behavioral experiments, he placed children between 12 and 30 months of age in front of a mirror, and marked, without the child noticing or being aware of it, the kid’s faces with rouge. When in front of the mirror, he observed that kids younger than 18 months old appeared to be unaware that what they had in front of them was their own reflection. In the other hand, most kids beyond the eighteen-month mark, when they saw the paint in their reflected face, they immediately touched the mark on their faces instead of the mirror. Thanks to his findings, we now know to expect important changes in self-awareness between 2 and 3 years old. 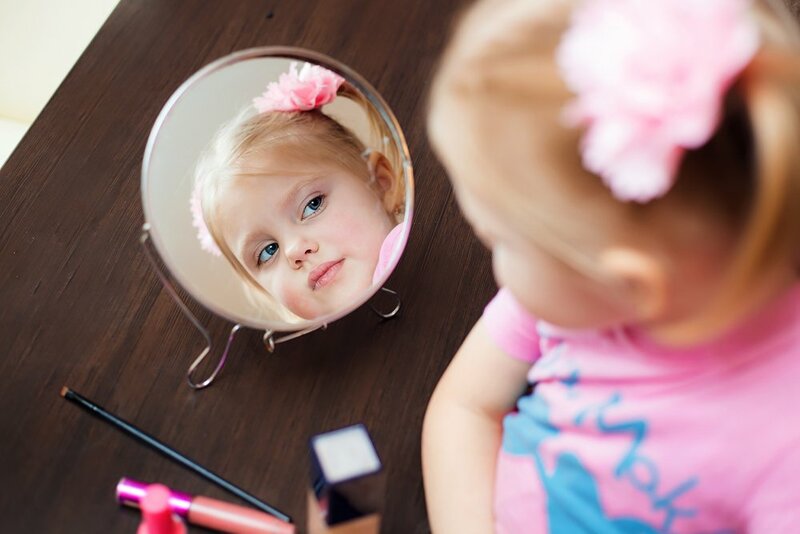 There are many ways in which your child might show her increased self-awareness. For example, when she starts to use pronouns to refer to herself, when she states what she likes or dislikes, or when she shows personal preferences towards clothes, food, animals, or characters; when she starts using first names to refer to people she knows, including herself; and, further in her socio-emotional development, when she starts showing interest in friendships, adventures into sharing toys, and shows empathy.